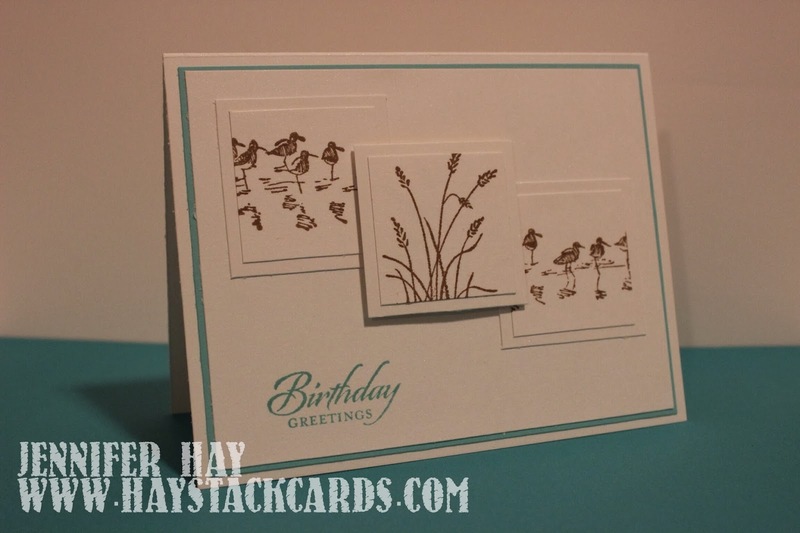 Today I have a quick birthday card to share with you featuring the Wetlands stamp set by Stampin' Up. I got the idea for this card from Pinterest. On my card, I had to overlap the images because I cut the squares too large - each at 1-1/2 inches - for an A2 size card. 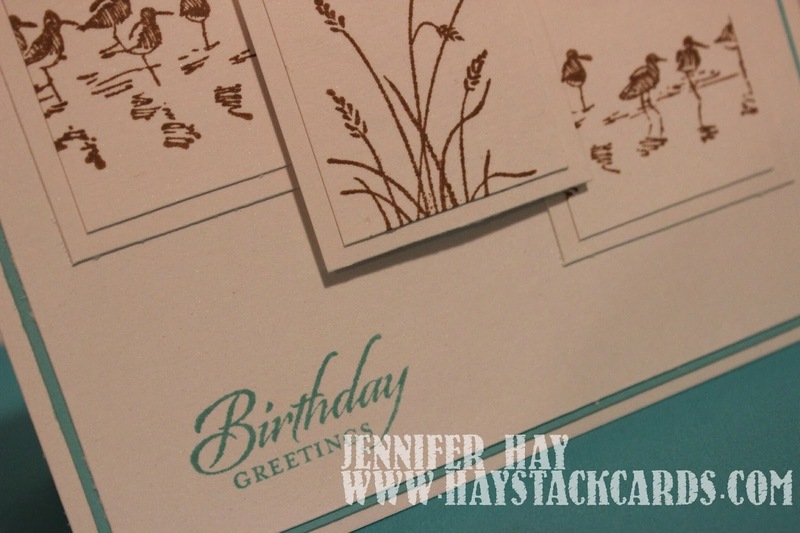 The images are stamped in Baked Brown Sugar and the sentiment is stamped in Coastal Cabana ink on Cryogen White cardstock. The square with the beach grass is popped up with dimensionals.